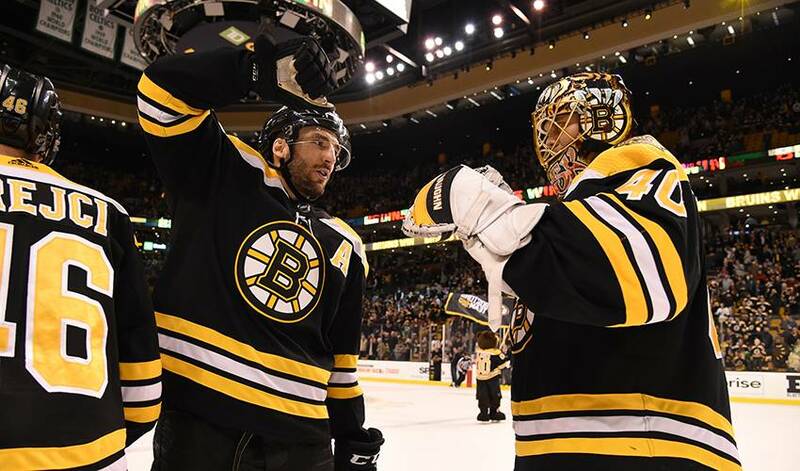 After delivering 26 saves – including a few key stops and a couple of haymakers – in a spirited 4-2 home win over Tampa Bay March 29, Rask showed why he’s the one who consistently sets the tone for the Original Six club. For veteran Brian Gionta, who signed a contract on February 25 to play the rest of the 2017-18 season with the Bruins, getting the opportunity to play alongside the 31-year-old Finnish netminder is a welcome relief from having to face-off against him. It was something Rask spoke of during the Stanley Cup Playoffs a few years back. “You try to see things in your head, what might develop in the game and just prepare yourself like any other game, not over-think those situations,” he noted. Rask has been particularly exceptional this season as Boston braces for another shot at the Stanley Cup. He has 34 wins in 50 games started, three shutouts and a .919 save percentage. In 446 career games, he has 238 wins, 41 shutouts and a .922 save percentage. Yet, it’s his unflappable demeanor between the pipes that has caught the attention of the veteran Gionta, who has played with some serious goaltending talent over his 1,022-game career. A few solid jabs aside, Rask is just as Gionta describes. The 16-year NHL veteran, who won a Cup with the Devils in 2003 and captained both the Canadiens and Sabres, recalled a moment from the Bruins game against the Lightning that perfectly summed up Rask’s abilities. It came during a frenzied few seconds when Tampa Bay was buzzing around the Bruins net. “It seems every time, no matter what, he is always square to the puck,” said Gionta. For Rask, it’s always been a simple approach that helps deliver the desired result. “Just try to stop every puck,” he offered.